Take this day trip for sunflower picking, pumpkin smashing, barbecue and all the best parts of fall. Bainbridge, Georgia, with beautiful hilltop views. He estimates that on each weekend day, between 300 and 500 people visit. 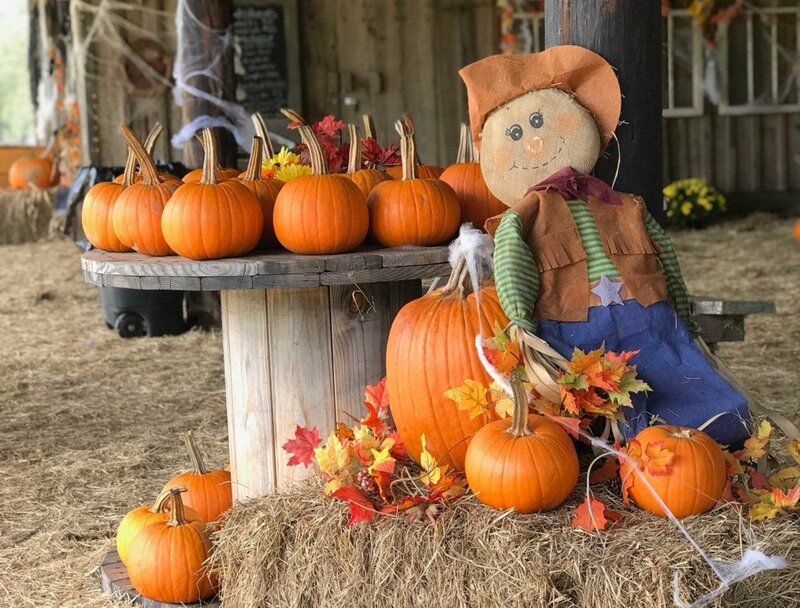 For those who like to find their way through a high crop maze or pick out the perfect Orange Bulldog pumpkin from a patch — then launch it by trebuchet across a field — Octoberfest is the perfect family-friendly trip, with horse rides, panning for gold, a corn pool for kids to wade in, hiking trails and pumpkin painting. Because the farm hires the same team of horses every year from Hannatown Stables, children have been able to ride a favorite horse on repeat visits. Each year Provence designs and lays out the crop maze using a grid system, then cuts the grid once the crop starts to come up. Viewed from the air, last year’s maze was a series of 3-D cubes. In the past he has also cut paths in the shape of a big pumpkin or a big Christmas tree, a nod to the farm’s other business, selling Christmas trees. Provence has learned a thing or two in his years planning the crop maze. “I try not to make dead-ends,” he said. On Friday and Saturday before Halloween, Springhill Farm hosts a haunted hayride and maze from 8 to 11 at night. Wide-open place “Pumpkin chunkin,” a more melodic phrase for the act of chucking a pumpkin, is Provence’s favorite part of Octoberfest. He and his brother built the 20-foot-tall, 1,000-pound trebuchet themselves a few years ago, and it has held up well, he said. “The trebuchet should throw a 10-pound pumpkin about 100 yards,” Provence said, “both up and out.” Every hour or so, he launches pumpkins chosen by guests into the sky above an empty field. Provence also hires bounce houses for kids. Most families stay for three or four hours and do all of the activities, working up an appetite. During Octoberfest, Provence offers pulled pork barbecue — Boston butts that he smokes right on the farm — plus all-beef hotdogs, green boiled peanuts, chips and drinks. “A good barbecue is always good,” he said. Provence’s father began selling Christmas trees in 1985. The 170-acre farm was larger years ago, before his family bought it, he said. “There were old buildings everywhere, and we saved all the wood we could. There’s wood used in the barn that’s over 100 years old.” This year, in addition to all of the other activities, people will be able to pick their own sunflowers at $5 per stalk. The majority of Springhill Farm’s customers are from Tallahassee, though Provence also has visitors from Pensacola and even South Florida. “Country people drive past corn all the time,” he said. For others, a fall day at the farm is an adventure to look forward to all year long. When: Saturdays and Sundays in October Saturday, 10 a.m.–5 p.m. Sunday, noon–6 p.m. Web: More details on Facebook and springhilltreefarm.com.